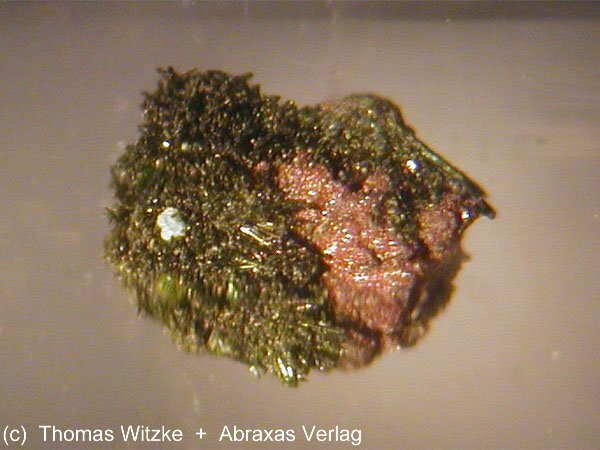 Comments: Very small olive-greenish prismatic crystals of alumoklyuchevskite. Location: Tolbachik volcano, Kamchatka, Russia. Scale: Sample size 1.8 x 1.5 mm.